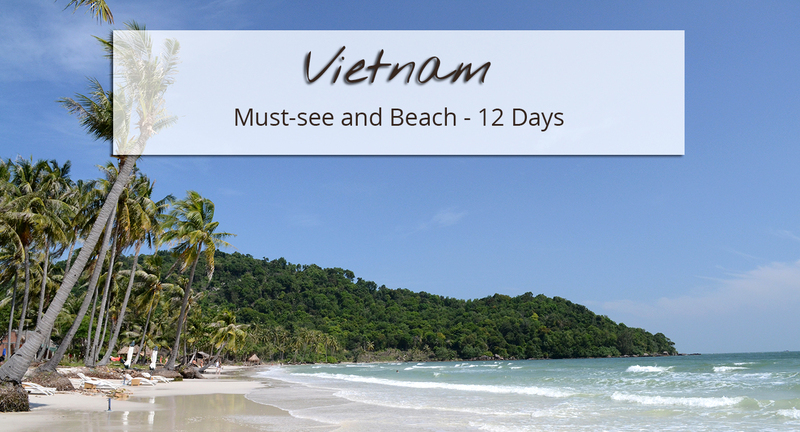 This tour stops by the must-see places in Vietnam and it ends on a paradise island. 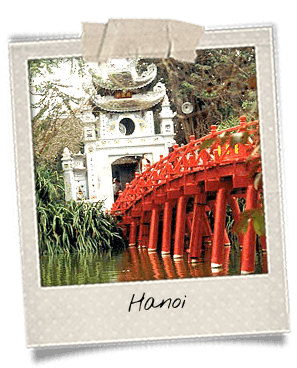 You will start your journey in Hanoi, the capital city that lies in the north of the country. 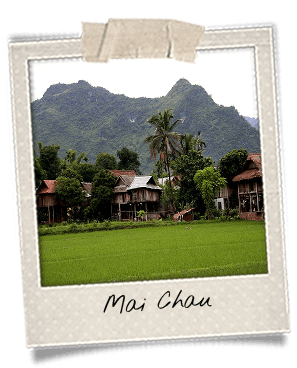 You will then go to Mai Chau, a verdant valley where several minority groups live. They will show you around and share insights of their daily life with you. Then, you will head to Ninh Binh, the so-called “Halong Bay on land” before going to the real Halong Bay and its sugar-loaf rocks coming out of the blue water. You will then fly to Saigon, the southern metropolis. From there, you will visit the Mekong Delta and embark on a boat that will bring you Phu Quoc Island, a small paradise in the middle of the ocean. Arrival in Hanoi and transfer to the Old Quarter in the city-center. You will enjoy some sight-seeing in the capital city: the One-Pillar Pagoda, the Temple of Literature, the Ho Chi Minh Mausoleum and the Presidential Palace (both from the outside). For lunch, try the very Hanoian dish called cha ca la vong. It is made of fried fish served with dill, which is very rare in Asian cuisine, turmeric, shrimp paste and of course some fish sauce! It also comes with rice noodles. Continue your visit of the city-center. Take a stroll around the Hoan Kiem Lake, whose Vietnamese name means “Lake of the Returned Sword.” Discover the shops of the 36 Streets. You will get a welcome dinner at Co Yen Restaurant whose menu combines flavors from northern Vietnam in a nice and typically Vietnamese atmosphere. Overnight at the hotel. You will get a transfer to Mai Chau. It is a verdant valley inhabited by minority groups. You will visit Lac and Pom Coong Villages. In those villages live Black Thais. You can recognize them by their traditional outfit: a black skirt and a high-collar and long-sleeve shirt. You will get lunch at a homestay. In the afternoon, you will continue your hike in the valley and the surrounding villages. You will spend the night in a homestay. You will get dinner there and attend a traditional dance show. Journey length: 4 hours from Hanoi to Mai Chau. 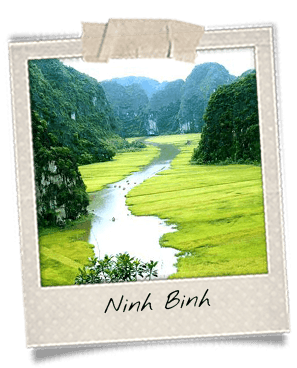 In the morning, you will hit the road to Ninh Binh, a province located south of Hanoi, on the coast. It is known to be home of the “Halong Bay on land.” You will start touring Hoa Lu, the former capital city of the country. Therefore, it comprises many heritage buildings. The most famous sites are the Dinh and Le Dynasty Temples and the Bai Dinh Pagoda, the biggest in Vietnam. For lunch, get a taste of a very local specialty: goat meat. The Ninh Binh region produces the best goat meat in the country thanks to its favorable environment. In the afternoon, you will carry on your stroll in the Halong Bay on land. Admire the gorgeous rocks coming out of the ground, along rivers and above paddy fields. Landscapes are breathtaking. You will get to tour the place by bark and bicycle. Journey length: 3.5 hours from Mai Chau to Ninh Binh. You will leave Ninh Binh to reach Halong. You will embark on a junk to cruise the Halong Bay, a must-do during a trip to Vietnam. The bay comprises about 2,000 isles and islands made of sugarloaf mountains coming out of the water. There are also many caves. Some of them have only been discovered recently! You will get lunch on the boat. The cruise will continue throughout the afternoon at the heart of that amazing site that was recognized as one of the 7 New Wonders of Nature. If you feel like it, take a dip in the sea! Legend has it that the color of the water comes from the skin of the dragon lying at the bottom. 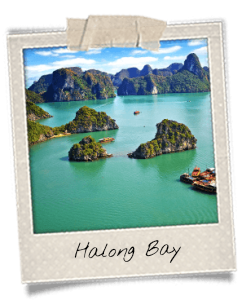 Indeed, the Vietnamese name of the bay, Halong, means “descending dragon.” The famous majestic rocks would come from the tail of the dragon paddling and breaking mountains around during its fight against the natural elements. During your stay in the bay, you will also get to go kayaking. Dinner on the boat. Squid fishing in the evening. Overnight on the junk. Journey length: 4.5 hours from Ninh Binh to Halong. You will wake up smoothly at the heart of the Halong Bay and will enjoy a Tai Chi class on the deck of the boat. Tai Chi is a Chinese martial art that consists of slow and very focused movements. The best option to wake your body up. You will then eat brunch on the boat before going back to the port and get a transfer to Hanoi airport. 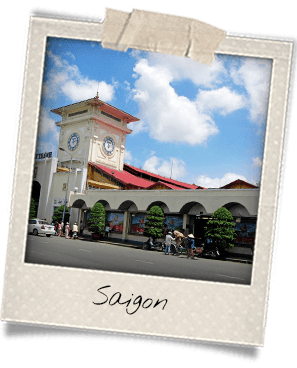 From there, you will catch your flight to Ho Chi Minh City, formerly known as Saigon, in the south of the country. 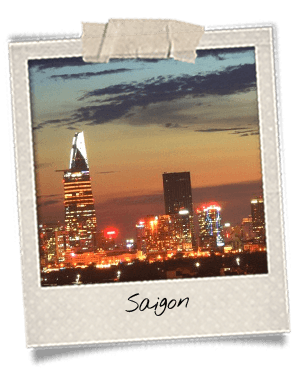 Get to discover Saigon in a different way! Hop on the back of a bike to enjoy the 7 District Tour. The goal is to bring you around the must-see places of the city such as the Post Office, the Notre-Dame Cathedral, the Reunification Palace and the Opera House on Dong Khoi Street (former Catinat Street), but also more working-class districts where local life is very vivid. In narrow alleys, street vendors sell take-away food, coffee, fruits, vegetables and other goods. There can also be found beautiful temples and small restaurants. A side of Saigon that you’re not likely to see in travel guides! Lunch in a Vietnamese restaurant. Free time in the afternoon. 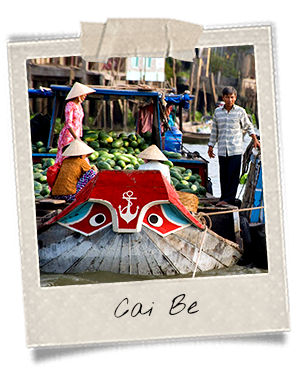 In the morning, you will head to Cai Be, a city in the Mekong Delta. You will get on a boat for a cruise on the river. 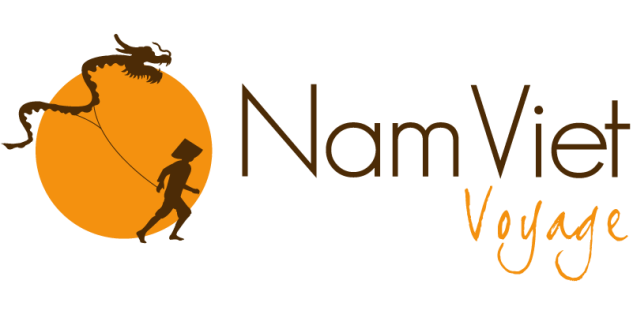 You will tour several local handicrafts such as coconut treats, rice paper and honey. You will get lunch in an old traditional house that dates back to 1838. It has been in the same family for generations and it has now been turned into a tourist attraction. There is a restaurant there where you can eat some delicacies from the Delta. You will try the elephant-ear fish, the local specialty called cá tai tượng chiên xù in Vietnamese, springrolls a la southern Vietnam and a lotus seed soup. In the afternoon, you will continue touring the Mekong Delta on the boat. You will eat local fruits in a fruit garden and attend a local music show. You will get off the boat in Can Tho, the economic, political and educational center of the region, but also the biggest city. You will get up early in the morning to go take a look at Cai Rang Market. 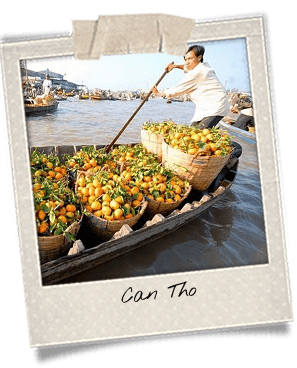 This floating market is one of the must-see in Can Tho. It is also one of the biggest in the region. People sell products from 5 in the morning to noon. After that visit, you will get a transfer to Rach Gia. 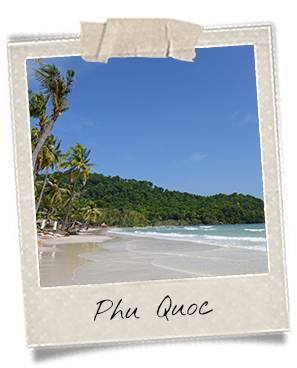 From there, you will take the boat to Phu Quoc. You will hop on a speed boat to reach the island. Dinner not included. Overnight at the resort. Journey length: 2.5 hours from Rach Gia to Phu Quoc by boat. 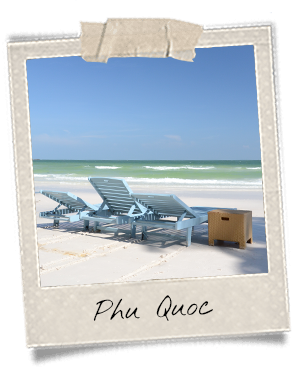 You will have three days to enjoy the beautiful Phu Quoc Island. There are many things to do there: long strips of white sand, oyster pearls, black pepper, fish sauce… But it is also a great venue for seaside activities such as sunbathing, scuba diving, snorkelling, or even kayaking. The northern part of the island is more remote than the south, where stand most of the resorts. It comprises a national park that is preserved. At its heart, you can find waterfalls and vegetal specimens that are sometimes a thousand years old! The best place to get around in Phu Quoc is to rent a scooter and drive to those different spots. You will also get to visit pepper farms and fish sauce factories. If you feel like it, take a tour in one of the bee farms and taste some delicious honey! Regarding food, try the local seafood, which is the specialty in Phu Quoc. Discover the banh canh, a very typical soup but with a twist there since fish is added instead of meat. In the afternoon, you will fly back to Saigon before heading to the international hub of the airport and catch your flight back home.